The energy at the Galvanize co-working space was electric. With so many teams working on such amazing apps, we felt privileged that so many chose to work with us! We had teams building everything. From an app to manage food truck orders (for both vendors and customers), to a service that uses IBM’s Watson to analyze the tone of your emails before you hit send. Everyone could use a feature like that some days, am I right? Another team used our data and analytics UI to store webhooks and campaign data in order to easily re-send an email. 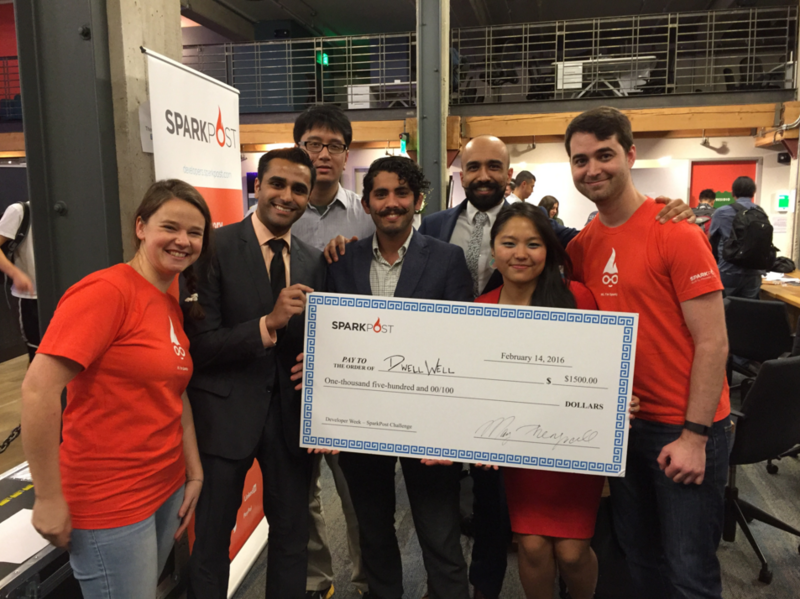 The most innovative use of SparkPost however, was DwellWell. Anyone who has spent a fair amount of time in San Francisco (or anyone who pays attention to the housing market), knows that one of the biggest problems here is a lack of affordable housing. There are several hoops to jump through to gain access to affordable housing, one of them being a mountain of paperwork. The DwellWell team, led by Marlon Frausto, built an app that enables applicants to complete their paperwork online, rather than making a trek downtown to deal with lines in person. The team did their research ahead of time, to gather all requirements for the affordable housing application process. Using SparkPost’s API, they built out a double-blind email system that allows people to inquire about a specific housing options. In addition to solving other problems, this gives applicants the anonymity they’re often wanting, but unable to have throughout the older process. As they continue to build out the application and work with the city housing authority, we’ll be following their story and supporting their use of SparkPost. Tuesday and Wednesday were the Developer Week Conference & Expo, inside the beautiful Pier 27 Cruise Ship Terminal. While we didn’t spend any time on a cruise ship, we did get to interact with several hundred attendees from all over the globe. We got great feedback on our API and had more interesting conversations about the various ways SparkPost can be used. 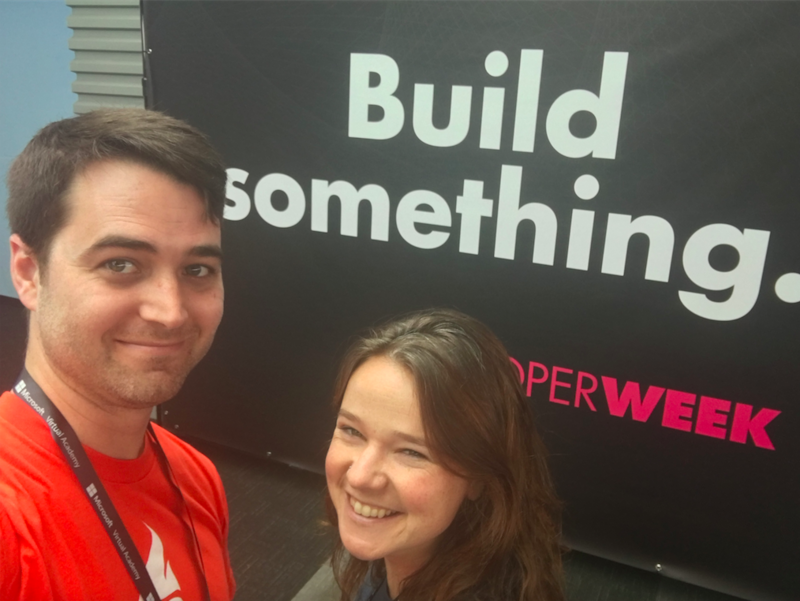 Best of all, we got to see people get excited about building something awesome! 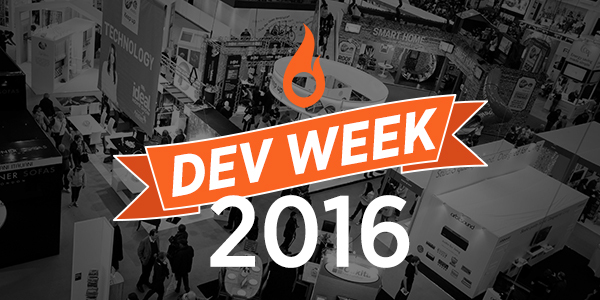 If we didn’t get a chance to chat at Developer Week, say hi on Twitter! Tell us what you’re working on! You’ll also find us at BrickHack and FluentConf next month. Be sure to stop by and say hi!